In this picture you can see the holes I drilled in the lids. I used Easter grass to imitate real grass. 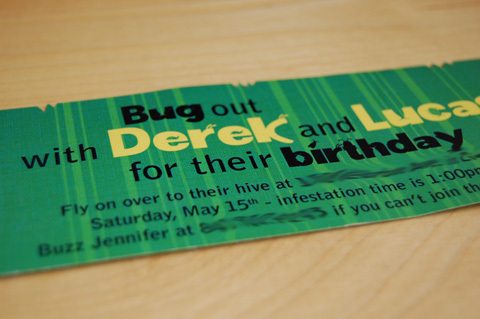 I hope to be adding these invitations, or another bug invitation to my shop soon. 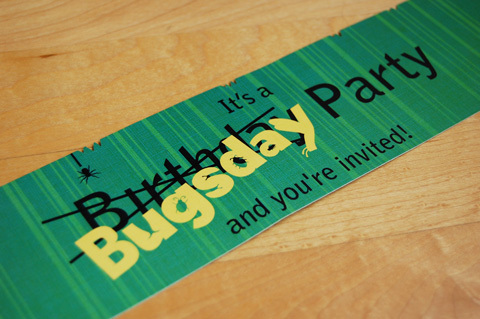 I was wondering when you will be adding this invitation to your shop. My son turns 1 in April and this is JUST what I am looking for. Wonderful job with all the details! 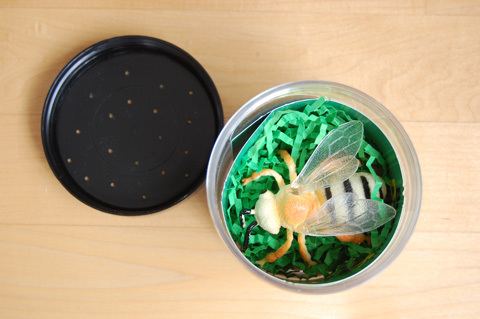 These are awesome and I’m copying the general idea of the containers for my son’s birthday. 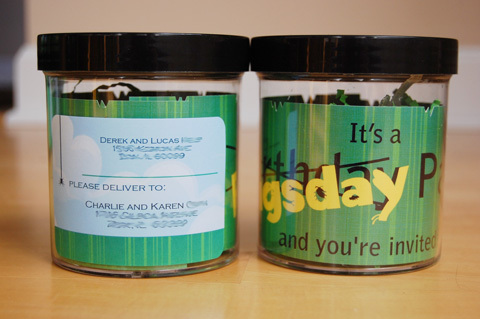 Question 1 – did you place the labels on the outside of the jars? Question 2 – how did you go about finding out how much mailing costs would be for these? I’m assuming take 1 to the post office and get it priced. Then when it was time to mail them did you have to take them in and have them print invididual postage for each jar? where did you buy the containers? and how did the post office put stamps on this?? ?